In response to ongoing changes in military technology and how it was used on the battlefield, the active U. S. Army had increased the tactical signals capabilities in its combat divisions by expanding the division signal companies into battalions with improved equipment. The doctrine had been developed and the equipment acquired and fielded. Officers attending the basic and advanced officer courses and the staff college had received instruction regarding the new organization and how to employ it. The active Army was well down the road by a year with the reorganization. Now, the National Guard divisions, the primary combat reserve of the Army of the United States, were scheduled to begin the reorganization process for their organic signals unit. The plan being implemented was to benefit from the active Army’s work and learning curve in the earlier reorganizations. 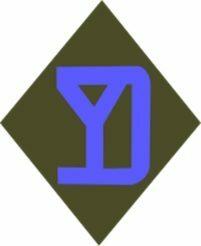 The 26th Infantry Division, a unit with a distinguished record in both World War I and World War II, was organized at the time almost entirely in the State of Massachusetts. Most of its division troops, exclusive of the division artillery and maneuver regiments, units that operated specifically under the division commander’s authority, were concentrated in armories around Boston, Massachusetts, the capital of the state. Division troops consisted of the division headquarters company, the cavalry squadron, the engineer battalion, the military police company and the signal company. One of the Boston area armories these units occupied was the large Commonwealth State Armory located in the city of Boston. The division was supported by active army advisors who were assigned to the U. S. 1st Army at Ft. Devens in Ayer, Massachusetts. This was a then active army post about a 30 minute drive west of Boston. Typically, the active army advisors were assigned to battalions. Often, 1st Army manning levels meant that an advisor might be assigned two battalions to work with. Typically, these advisors were field grade officers in the rank of major. The majors assigned were very experienced officers of 13 years or more commissioned service. Most at the time were combat veterans. They had commanded at platoon and company and had served as staff officers at battalion, regiment and higher command. They were graduates of their branch officer advanced courses and other Army schools. Additionally, many of them, being at this time World War II and Korean War veterans, had significant enlisted and NCO service of several years in addition to their commissioned service. They were very seasoned and competent soldiers at the organizational levels of individual soldier, squad, platoon, company, battalion, regiment and even division. The active army advisor was a valuable resource for the National Guard commanders and their chains of command to obtain insight and advice on the “how” a like or comparable active army unit performed its applicable and related administration and conducted operational missions. The advisor also played a role in assessing the guard unit’s status regarding meeting those federal readiness measures required of National Guard units. Meeting these required measures was a critical issue for the Guard unit as significant shortfalls or uncorrected shortfalls or deficiencies could affect National Guard officer status in the units and the state’s Army related federal military funding (there was an Air National Guard as well)—the Guard units obtained some 85% of their funding from the federal government. If federal funding was curtailed and the state was caused to rely on state funding for its military establishment, that establishment would be severely reduced. The advisor was a military professional of significance in this system. As the 26th Infantry Division oriented on its building of a new divisional signal battalion to bring the division into organizational compatibility with Army and national force structure needs, a shortfall was apparent. There was no availability of an advisor with direct experience with such a unit as a divisional signal battalion or any type of signal unit for that matter on staff at 1st Army. An advisor was operating in the Boston Area who had been supporting two battalions of the 101st Infantry Regiment, one of the 26th division’s three infantry regiments. He had been in this role for the last two years and was highly regarded by these units. The units had done very well with this officer’s advisory support. As well, the officer was very effective at forming relationships with the Guard officers. He completely avoided any active army versus National Guard bias contests. It must be remembered that at this time many National Guard officers and NCOs were veterans of World War II combat some 13 years earlier. True, some changes in organization, equipment and doctrine had occurred, but much of how the division operated tactically remained similar to what these officers and NCOs had experienced during the war. This experience, tapped into effectively by a skilled advisor, could be a positive in maintaining unit effectiveness and operational capability, even on the part time schedule of four, four hour unit training assemblies concentrated on a weekend a month and two weeks of deployed active training during the summer at a major installation that could support battalion, regiment and division level maneuver and live fire gunnery. In the above regard, at this time the 26th Infantry Division used Camp Edwards, Massachusetts with its adjacent Otis Air Force Base. Camp Edwards was located just over the Cape Cod Canal near Barnstable on the base of the cape. It was a World War II built installation with cantonments, ranges and support facilities capable of supporting a full strength World War II Army division. It was an ideal facility for the 26th Infantry Division. The advisor of the two battalions of the 101st Infantry Regiment was somewhat unique. He had enlisted as a National Guard private in 1939. His Guard unit was federalized into the active army in February 1941 and continued as an active army unit until late 1945 deployed to the South Pacific Theater where it saw significant combat. While on active duty, the advisor had risen to sergeant, staff sergeant, technical sergeant then first sergeant and was commissioned a 2nd lieutenant operating in that rank from May 1945 to the end of the war. He returned to National Guard service in early 1946 until late 1950 when he was again mobilized into active federal service for the Korean War. After the second mobilization and deployment to Germany for 3 years he integrated into the active army, he had since been assigned to the Armor Center at Ft. Knox and had returned from deployment to Viet Nam where he advised the South Vietnamese Army’s Infantry School regarding infantry supply and logistics operations. The advisor had commanded two rifle companies, two rifle battalion headquarters companies and a training company. He had commanded one of the rifle companies and one of the headquarters companies in state service. He had served as a battalion S-1 (Adjutant/Personnel Officer), S-2 (Intelligence Officer) and S-4 (Logistic/Supply Officer), Regimental Assistant S-2 and regimental S-4 and Armor Center Assistant G-2. He had served as a battalion staff officer both in state service and on active duty. He had an excellent sense of what the guard officer experienced in state service. Though he had been assigned to another National Guard infantry division at the time, he had experienced the two weeks of active summer training at Camp Edwards during several summers ten years earlier. He was uniquely qualified for the advisory role he was serving in. But did these qualifications support his being effective to advise a new forming divisional signal battalion, a unit that had not previously existed in the tables of organization before being formed in the active army? The 1st Army at Ft. Devens, in consultation with the 26th Infantry Division Headquarters, determined that the advisor of the 101st Infantry units would be the best available selection to become the advisor of the new forming signal battalion. The infantry major, advisor for two years of two National Guard infantry battalions, took a deep breath. He promptly obtained every scrap of information concerning how the new signal battalions were organized, their doctrine, tactics, techniques and procedures, their equipment, their capabilities and any available lessons learned about the battalions already in operation. With his office located in Commonwealth Armory in Boston and living in the bachelor officers quarters during the week at Boston Navy Base, he was well sited to concentrate on working with the officers and men of the new forming battalion. The signal battalion’s advisor established instant rapport with the officers of the new battalion who had been drawn from a combination of existing units, one being an artillery unit. His reputation with these officers greatly facilitated rapid establishment of that good will. He offered himself as a resource to do all possible to support these officers in the work of organizing, training and bringing the battalion to an effective operational level. A highly successful and constructive relationship formed between the advisor and the officers, one of mutual trust and respect. The National Guard officers came to regard the advisor as a bulwark of support to their work to form the new unit. The proof of the effectiveness of the advisor/unit officer relationship that formed came after a year of hard work. The battalion was assessed through an Army Training Test administered by 1st Army. The new battalion did extremely well. The advisor had the reward that meant the most to him—a new battalion, competent to perform its mission, manned by effective leaders, and oriented on the right objectives had been formed. Now, three years into a stateside assignment after return from a year in Viet Nam, the advisor was subject to reassignment. For a second time he was ordered to U. S. Army Europe. With fond farewell, the advisor’s National Guard colleagues bid him God speed. He prepared for his fourth overseas tour—this time back to Germany to join 1st Battle Group, 30th Infantry, 3rd Infantry Division, the Army’s new Pentomic organization at infantry tactical level. The organization was an Army attempt to address tactical nuclear weapons. The advisor had demonstrated a very effective style of leadership in the unique mission and role of an advisor to a National Guard formation. Key was the respect he communicated for his National Guard counterparts. He respected them and they respected him. As well, he demonstrated that he was dedicated to the mission, fully available to assist and advise. The Guard officers recognized that he was present to provide them with the critical “coaching” to bring them to effectiveness. As important, they quickly learned that he knew what he was talking about. Not only had he done their jobs as they were in a National Guard unit in state service, he had done them in the active Army as well, in the United States, overseas, and in combat. This vignette is perhaps one of the best “lead by example” stories in a difficult and unique leadership environment that I have come across. Advisor duty with reserve formations in its various forms for active officers can be perceived, outside strong personal relationships that may form, by some as a thankless task. But it is a truly vital function that done well adds significantly to a country’s security. It is perhaps one of the more important military leadership functions and challenges in any Army. 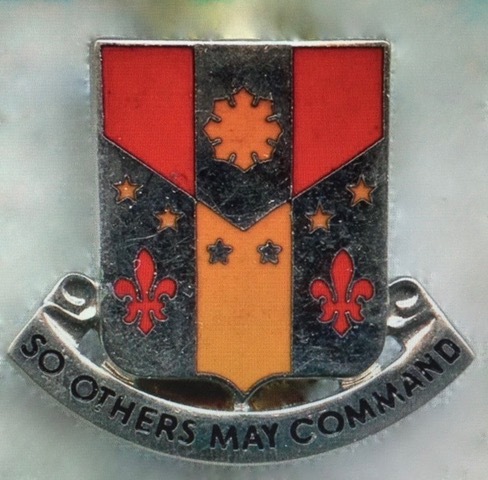 The 126th Signal Battalion received element of the 220th Infantry Regiment (First Corps of Cadets) a unit that dated back to Colonial Massachusetts under the crown) in consolidation in 1975. In 1996 the 126th Signal Battalion (First Corps of Cadets) consolidated with Headquarters and Headquarters Detachment, 685th Military Police Battalion to form the 211th Military Police Battalion (First Corps of Cadets) a unit that remains on the establishment today. It has been on active service several times since 2001. The Corps of Cadets, motto “Monstrat Viam,” had operated with the 211th designation as a Coast Artillery Regiment during the years between WW I and WWII and for a time after WWII as the 211th Cavalry.Squadron before re-designating as the 126th Tank Battalion then reorganizing and re-designating in 1959 as the 220th Infantry Regiment. This unit claims ancient heritage with the “Cross of St. George” centered on its original device.